An experienced former firefighter and professional fire risk assessor, was told yesterday by a Crown Court judge that a custodial sentence was inevitable following a fire risk assessment of a nursing home, which was not suitable and sufficient. Graham Foote, 70, of Beverley, Yorkshire, was handed a sentence of four months in prison suspended for 12 months for providing a ‘woefully inadequate’ fire risk assessment in his capacity as a private consultant. He must also pay £1,600 in costs. The care home company who had commissioned the risk assessor had also pleaded guilty to a charge of failing to provide a suitable and sufficient fire risk assessment. Minster Care Management was sentenced over four counts of failing to comply with the Fire Safety Order 2005 legislation over problems at Croftwood Care Home in Halton Lodge. The company was fined £40,000 plus £15,000 in costs over fire safety breaches at a Runcorn facility that prosecutors claimed left elderly clients at risk of death or serious injury in the event of a blaze. The sentences could have significant ramifications for those involved in the business of providing Fire Risk Assessments. 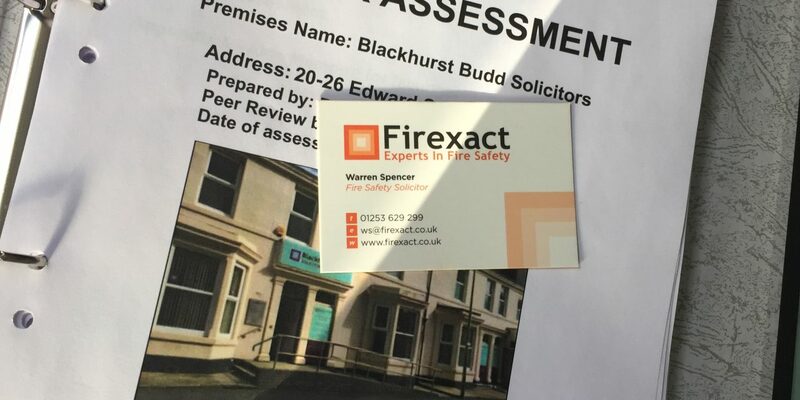 Warren Spencer, Prosecuting for Cheshire Fire and Rescue Service, told the court that the risk assessment provided was a generic template type document that did not relate directly to the premises for which it was written. There were no areas within the template to cover staff training, evacuation strategies, fire safety equipment or compartmentation, and it did not fully assess the building and occupancy, taking into account any special requirements that elderly, vulnerable persons may need. Mr Spencer said that the Crown accepted that the care company had instructed a person whom they believed to be a fire safety expert, but that it was the Crown’s case that it should have been apparent to the defendant company and its directors the document he produced was wholly insufficient and unsuitable for high risk premises such as a nursing home. Mr Spencer explained that the Crown did not have the benefit of the terms of the retainer which existed between Minster Care Management Ltd and Mr Foote, but that a fire risk assessment was not just a document, but a process which required constant and ongoing attention. Mr Spencer said the home’s residents were a ‘high risk’ group because of their old age and in some cases infirmity or dementia, including one client who was bed-bound and on end-of-life care. The problems included failing to make a proper fire safety assessment, with the care home relying on one that might have been adequate for a ‘small shop’. 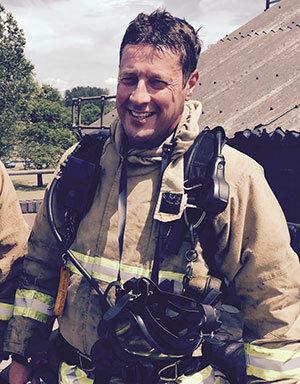 Legal counsel representing the company and the co-defendant each blamed the other party, with Foote claiming that he only been tasked with drawing up a basic template for a risk assessment and the company arguing that the ex-firefighter was supposed to carry out a full assessment and had been recommended as an expert. Neither could produce a contract to prove their respective claim. PreviousArticle 8 – or Not? NextFire Risk Assessors at Risk? And just out of interest…..